Prue Taylor received her legal qualifications from Victoria University, New Zealand and Tulane University, USA. 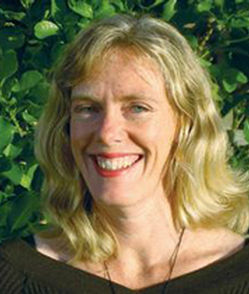 She currently teaches environmental and planning law at the School of Architecture and Planning. She is the Deputy Director of the New Zealand Centre for Environmental Law and an elected member of the IUCN Commission of Environmental Law and its Ethics Specialist Group. Prue’s specialist interests are in the areas of climate change, human rights, environmental governance, ocean law and policy, property rights and environmental ethics. She has authored numerous books and articles in these areas. Her book, An Ecological Approach to International Law: Responding to the Challenges of Climate Change (Routledge), won a NZ Legal Research Foundation Prize. In 2007 Prue received an outstanding achievement award from the IUCN in recognition of her contribution to law, ethics and climate change. Her current research projects involve the following topics: local government and climate change; climate change ethics; common heritage of mankind and legal strategies for the commons.